Stormwater runoff from industrial facilities can pose a threat to the environment, as precipitation may pick up pollutants and wash them into local water systems. The results can be devastating: habitat degradation, siltation of rivers and depletion of fish populations can all occur. 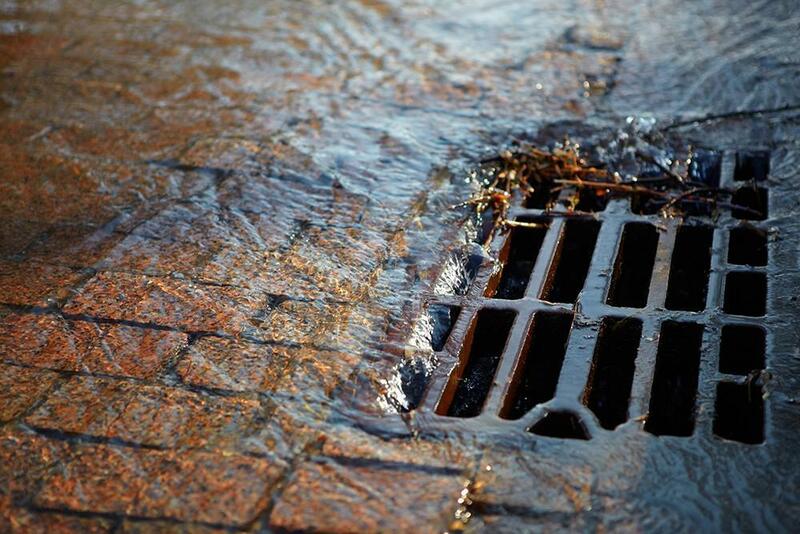 Because of these risks, stormwater runoff is monitored and regulated by different levels of government. Stormwater regulations vary by industry and location. The federal government oversees permits for industrial stormwater discharge under the Environmental Protections Act. The Multi-Sector General Permit for Stormwater Discharges Associated with Industrial Activity (MSGP) covers 29 industries, including timber products; oil and gas extraction; mineral mining; and food and kindred products. The full list of eligible industries is included in the MSGP 2015 Fact Sheet. Industrial facilities that fall under the guidelines of the MSGP are required to identify areas around the perimeter of a facility where stormwater discharges during rainfall, called “outfalls.” These outfalls are then monitored regularly as part of a Stormwater Pollution Prevention Plan (SWPPP). The MSGP provides benchmarks per industry of recommended levels of pollutant discharge following rain storms. While stormwater monitoring itself is mandatory, there are limited legal consequences for facilities that exceed the established industry benchmark measurements. These measurements are taken at a facility’s outfalls. Outfalls may be continuously monitored during a rain event, or a facility may use stormwater sampling followed by testing in a laboratory. Acceptable levels of each parameter vary by state. Generally, stormwater runoff leaving an industrial should fall within a pH range between 6.0 and 9.0, according to most local authorities. Stormwater with a pH reading that falls outside the accepted range requires treatment before it reaches a local water system. Permitted levels of dissolved oxygen vary. States with a Water Quality Standards Act require minimum concentrations of dissolved oxygen, usually ranging from 5 mg/L to 8 mg/L. Dissolved oxygen levels that fall outside that range can be harmful to local fish populations, and thus, adherence to the guidelines is crucial. Minimizing impervious areas at a facility can control the flow of stormwater to reduce runoff. Green roofs, bioretention cells and pervious pavement are interventions that can minimize a facility’s stormwater runoff. Sensorex offers effective solutions for monitoring stormwater runoff to ensure key parameters meet local or federal monitoring standards. The SAM-1 Smart Aqua Meter allows users to collect crucial data from stormwater outfalls using their smart devices (iPhone, iPad, or Android). Available parameters include pH, ORP, conductivity and temperature readings. Stormwater runoff measurements can be captured with GPS data for outfall geolocation, along with the date, time and any comments by the collector. That data can be stored and shared via email with all stakeholders. For outfalls with large volumes of stormwater runoff, Sensorex offers online pH probes, conductivity probes, and ORP probes for continuous monitoring. These sensors provide reliable measurements for a facility’s stormwater monitoring efforts to comply with local and federal guidelines and to protect the health of local water systems.